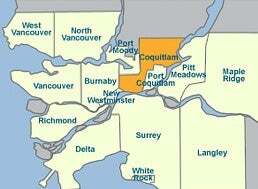 Coquitlam is the 6th largest city in British Columbia with a population of about 115,000. It is a dynamic city with a beautiful natural setting featuring abundant parks and green space, arts and cultural venues, and multiple recreational facilities. See the Neighbourhoods section to learn more about Coquitlam.